Shopify is a platform which allows you to set up an online store in a quickest and easy way. 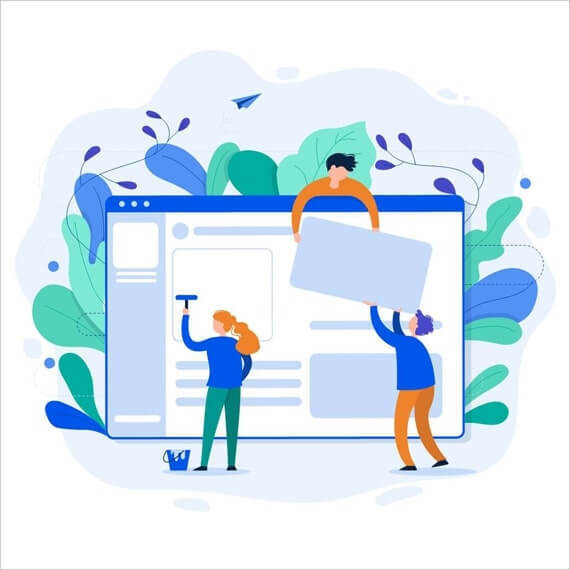 When you need help only with the look and feel of your website and want to ensure that your website looks amazing, our services are the best option for you. We offer superior offshore Shopify design services. Service design is involved with the design of services and making them properly suit the needs of the service’s users and customers. Service design is worked both to create latest and new services and to improve the enforcement and performance of existing services. 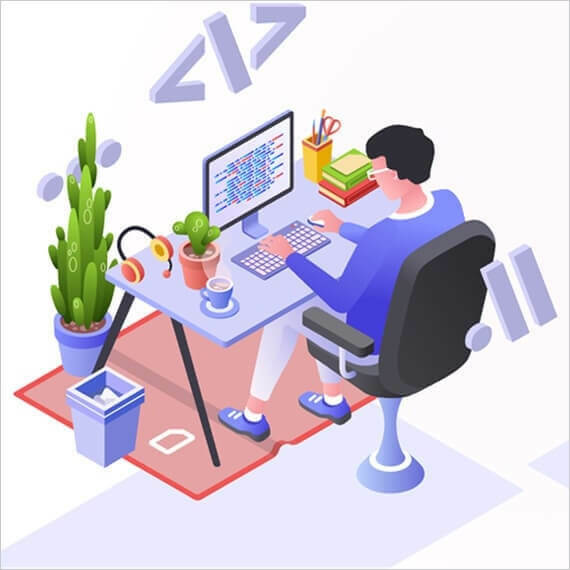 Our design team consists of highly creative professionals who create a visually compelling design that can convert your visitors into customers. Softpulse Infotech is an outstanding team of Web Development professionals who are highly specialized in analysis, strategy, development, and deployment of complex website development projects If your design is ready and you need someone to transform your idea and design into a fully functional Shopify website, we offer you the perfect option. After keenly evaluating your vision and idea, our team works on your design to create the perfect eCommerce solution for you. 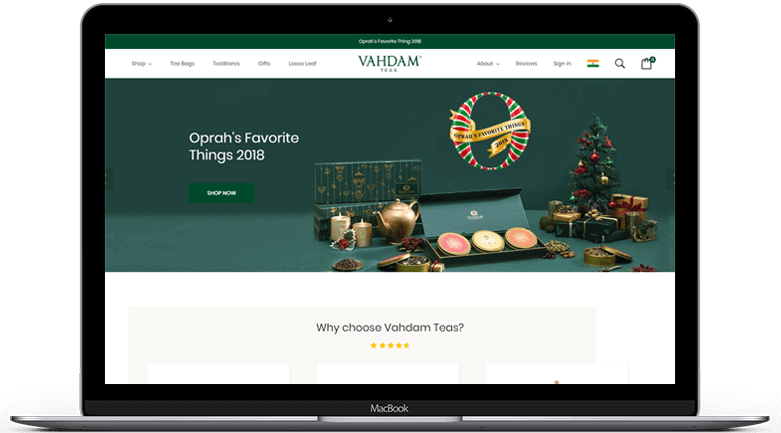 Empowering ecommerce business and Take your eCommerce store to the next level. 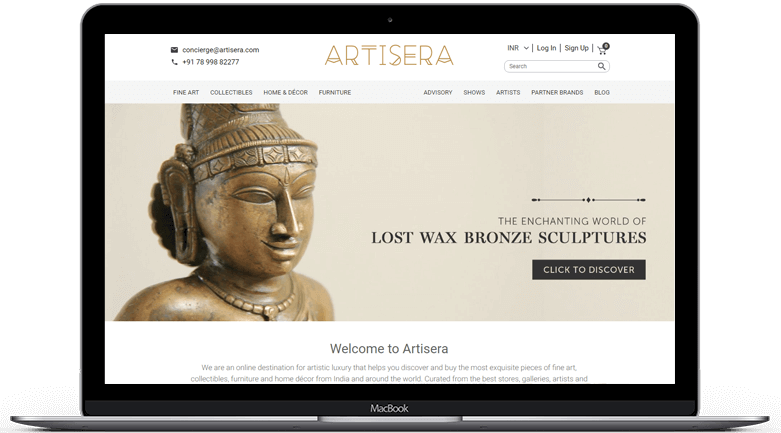 An online marketplace for artistic luxury, curating the finest furniture, fine art, collectibles and home décor from reputed stores, galleries and designers. 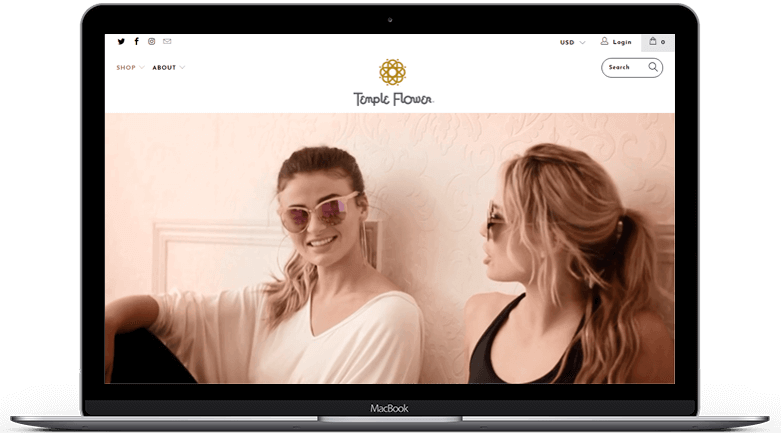 Temple Flower is an activewear brand that encourages every woman to be bold in living a vibrant life that follows her passion. Developers at Softpulse Infotech specialize in Shopify Web Development, design, customization and Wordpress Development. 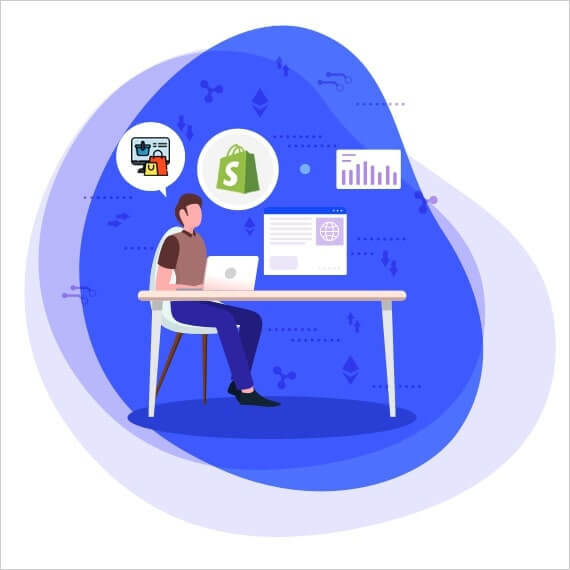 Apart from providing some of the most sophisticated, business aligned and innovative software to our customers, we are equipped with the necessary experience and expertise to provide 24/7 support. Finding a trusted development partner is never an easy task. But, working with Softpulse Infotech has and continues to be an excellent choice for us. From the beginning we knew that we needed something complicated and unconventional. They team has great product knowledge, timely communication, flexible planning, and knows Shopify inside-and-out. Highly recommended.